New mom Carrie Underwood is determined to get her pre-baby body back – and her personal trainer has outlined her battle plan exclusively to Dailymail.com. The 31-year-old country crooner welcomed her first child Isaiah Michael with husband Mike Fisher on February 27 and in the build up to the birth she said how eager she was to 'reclaim' her slim figure. 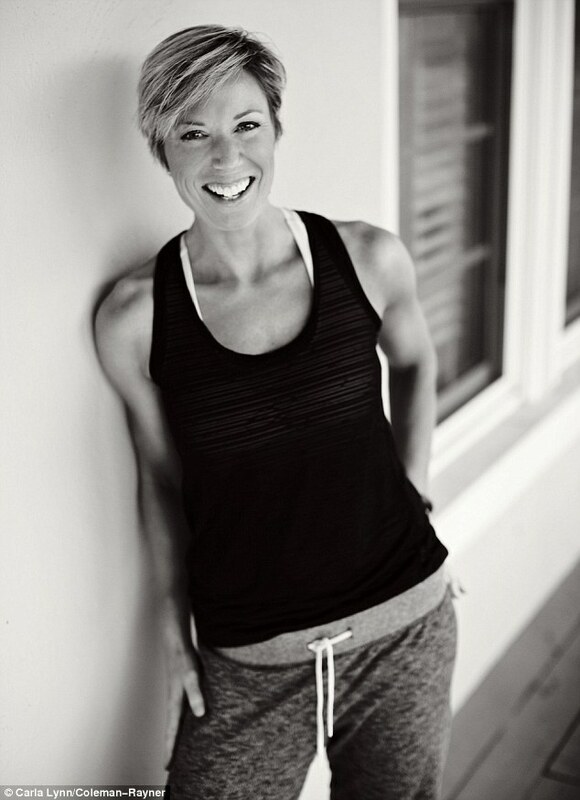 In an exclusive interview with Dailymail.com Carrie's personal trainer Erin Oprea shared the first-time mom's workout tips and plans to shed her baby weight – which included a rigorous workout regime DURING her pregnancy. New moms are recommended to wait at least six weeks after giving birth to begin exercising, so Erin's focus for this period is healthy eating while waiting to be cleared for exercise by the doctor. She explained: 'After a woman has her baby they have a little while that they can't work out. So at that point you want to really start focusing on that your eating is cleaned up. After getting the all clear by a doctor, the Nashville-based trainer says it's important to utilize both cardio and weight training exercises to try and get back to a healthy pre-baby weight. Erin explained: 'I would incorporate both. They would both start light. They wouldn't start a super intense weight workout or a super intense cardio workout. They would both start with some walking, some hill walking, things like that. Then some basic stuff… some squats and go slowly until you start feeling normal. 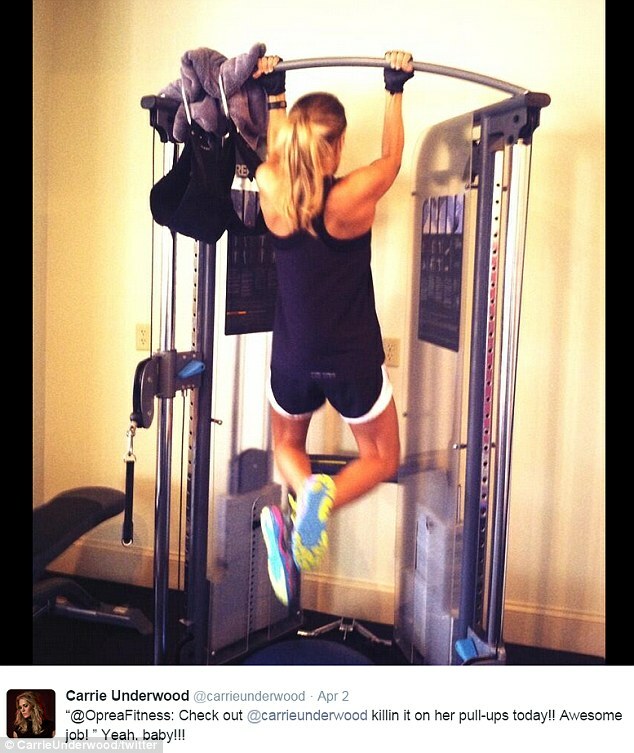 Erin outlined one of Carrie's favorite styles of training, revealing: 'We do lots of tabatas. I do tabatas with all my clients. Erin gave a popular Tabata exercise she's used for pregnant clients, which includes two round of squats, curls, sumo squats, and bent over rows, for twenty seconds each, for a total of eight rounds. 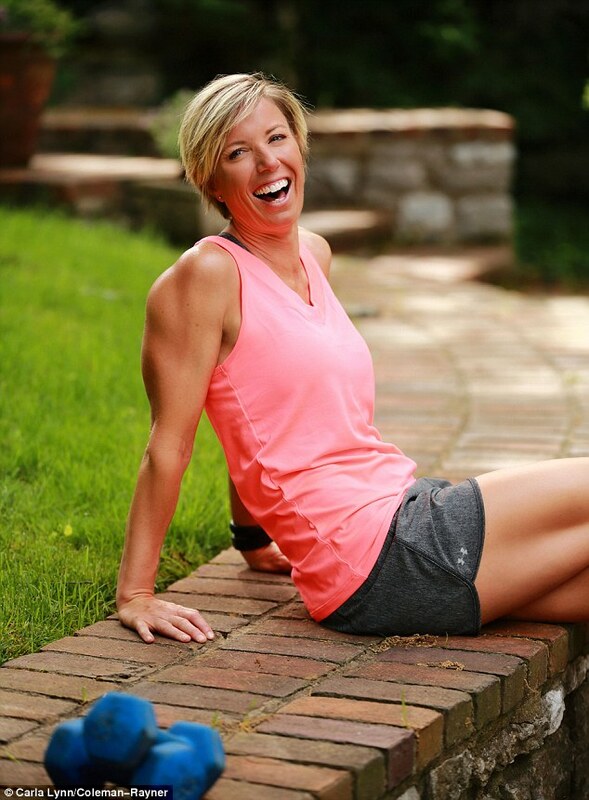 While many new moms often struggle to find the time to workout, Erin stresses the importance of 'incorporating fitness into your everyday life'. She shared further tips that will help Carrie: 'A lot of people with kids don't have two hours to go to the gym after they get off an eight to five job. So come home and do short workouts. Try and be active and not lay on the couch all evening. You can get just as much in at home. Despite Carrie's eagerness to slim down, Erin stresses women to focus more on feeling 'comfortable in your own skin'. Speaking on the Hollywood stigma that 'thin is in' she said: 'It's not all about being thin, I think it's about feeling good.